An Opinion On Sports: Sanford Stadium: "Top 10 Toughest"
Sanford Stadium on the campus of the University of Georgia is rated in the Top 10 toughest venues for opposing teams in college football. 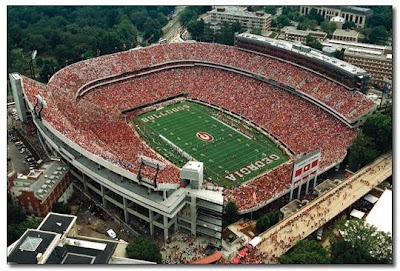 The picturesque 92,000+ seat stadium sits in a valley type setting in the center of UGA's vast campus. The Southeastern Conference also had four other stadiums in the Top 10, as well as six in the Top 14. Week in and week out, the teams in the SEC must be able to cope with playing in loud, hostile environments. Even sites like Williams-Brice on South Carolina's campus, which were not mentioned in the Top 15, are packed to capacity for home games. There are no easy road games in this conference. All these on-campus facilities have their own identities and traditions that make "Football Saturdays" so special and so electric. Although he didn't mention Sanford (that's O.K. Moondawg! 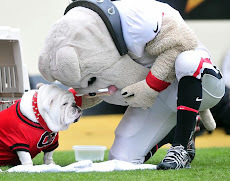 ), Moondog Sports has a good series on the best college stadiums that you might find interesting. 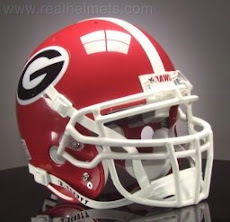 Georgia Sports Blog has an interesting post regarding future expansion in Athens. 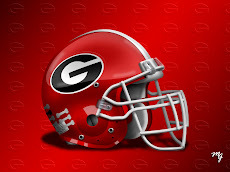 Dawgs On Line also has a good take on the same topic. Athletic Directors and Boards at major colleges are always crunching the numbers to justify stadium expansions versus ticket demands (and we all know ticket demands are directly related to WINS). It's a 'tricky' equation at best. There are only four campus stadiums that seat 100,00 or more, so that's probably the capacity number that stadiums aspire to reach. It is sometimes true that bigger is not necessarily better, so in these cases numbers might not tell the entire story. But then again there's that old saying, "If you build it, they will come", (as long as you're winning, of course! ).